Video: YouTube Many thanks to Eric Leary of DataKraft for the excellent recording and editing work! Summary Do you find SELinux complex or confusing? Have you ever disabled it in production? Is your application compliant with SELinux? This talk will provide an introduction to SELinux including how it works and motivation for why it is important for secure systems. This does not require previous SELinux knowledge, but it will give the basic tools to analyze failures and understand the state of SELinux on a system for both sysadmins and developers. Why do we care about SELinux? Come learn about SELinux so you can work with it for the win. Speaker Brian Bouterse is a Principle Software Engineer at Red Hat and has been working with SELinux for roughly 3 years. He is a developer on Pulp and has written an SELinux policy for Pulp and fixed many SELinux issues along the way. He lives in Raleigh with his wife Katie and his cat Schmowee. Many thanks to Eric Leary of DataKraft for the excellent recording and editing work! This event will feature 3 excellent speakers, and we will be giving away a drone! We will begin with Adrian Pomilio, UI Architect and Platform Architecture Team Lead for Mapp Digital, presenting on the topic of hacking drones. Next we have James Vann of Vann Attorneys Law Firm presenting the on the lastest drone laws and legislation. 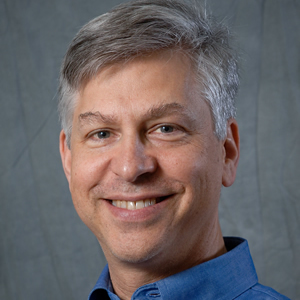 Finally we will hear from Kyle Snyder, Director of The NextGen Air Transportation Program (NGAT), NCSU Institute for Transportation Research and Education, which is a Consortium of academia, industry, and government members. This meeting will tie together the regulations, the research activities, the economic opportunities, the transportation infrastructure, and future directions. 2nd Presentation: Drone Laws Video: YouTube James Vann from Vann Attorneys will present on drone laws. Full abstract and bio is forthcoming. 3rd Presentation: The Development of the UAS Ecosystem in North Carolina Video: YouTube "I will bring some slides with some of the work we have been doing to support UAS integration around the state since 2012. I will also talk about our role on the FAA UAS Center of Excellence ASSURE team. And I will talk about opportunities for getting involved with the NGAT Consortium here at NC State (my office) and what we are working on as a community. 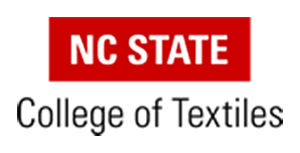 Our focus is developing North Carolina as an advanced aviation communications testbed for transitioning all aviation activities into a digitized operating environment, not just drones." This is going to be an amazing event you do not want to miss! January 19 - Hack Night! Bring a laptop and we'll see you there. Jeff Spahr gives us an overview and tour of RHV (Red Hat Virtualization), outlining its features and benefits, and finishing up with a demo. Please fill out the quick sign-up form at the link below so we know how much food to order, and what demo you might have in mind. Thanks! Scott Hall will kick us off with some of the background and history of Software Defined Radio, and give us an overview of the technical theory behind it. After that, he'll launch into some of the common implementations and cover practical concerns. Once we've got a bit of technical grounding in the subject, Phil Rhodes will step in with a live demo of some of the hardware and software involved with SDR. After that, we will open the floor to let others give it a shot, or demonstrate their own SDR equipment. So bring your own SDR dongle on down and play! About Scott Hall: I have been interested in electronics and radio since a child (first ham-license when I was 9). I apprenticed & journeymaned to a professional broadcast engineer in high-school going into college, and at the same time building and using computers and software. After getting degrees in both hardware and software engineering, I have careered mostly in Software Development with forays into Embedded Engineering. My first experience in Software Defined Radio was using some DSP's and ham-radio gear back in the 1990's.